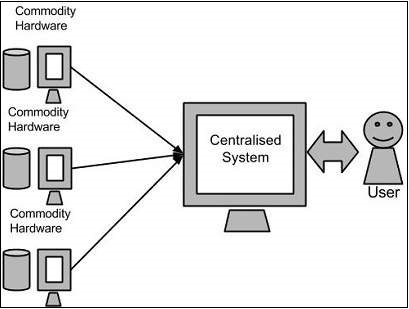 In this approach, an enterprise will have a computer to store and process big data. For storage purpose, the programmers will take the help of their choice of database vendors such as Oracle, IBM, etc. In this approach, the user interacts with the application, which in turn handles the part of data storage and analysis. This approach works fine with those applications that process less voluminous data that can be accommodated by standard database servers, or up to the limit of the processor that is processing the data. But when it comes to dealing with huge amounts of scalable data, it is a hectic task to process such data through a single database bottleneck. Google solved this problem using an algorithm called MapReduce. This algorithm divides the task into small parts and assigns them to many computers, and collects the results from them which when integrated, form the result dataset. Using the solution provided by Google, Doug Cutting and his team developed an Open Source Project called HADOOP. 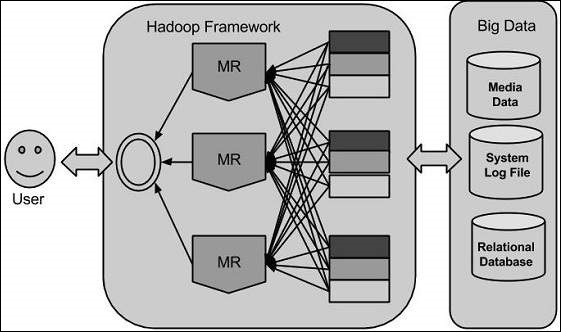 Hadoop runs applications using the MapReduce algorithm, where the data is processed in parallel with others. In short, Hadoop is used to develop applications that could perform complete statistical analysis on huge amounts of data. MapReduce is a parallel programming model for writing distributed applications devised at Google for efficient processing of large amounts of data (multiterabyte data-sets), on large clusters (thousands of nodes) of commodity hardware in a reliable, fault-tolerant manner. 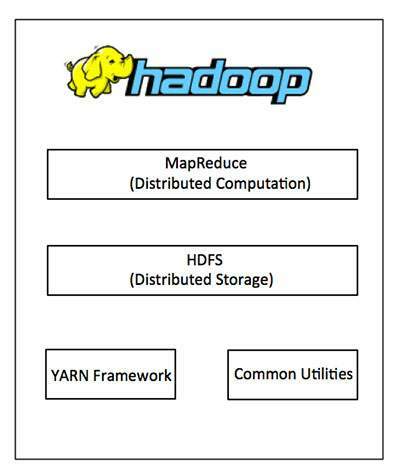 The MapReduce program runs on Hadoop which is an Apache open-source framework. Hadoop Common : These are Java libraries and utilities required by other Hadoop modules. Hadoop YARN : This is a framework for job scheduling and cluster resource management.